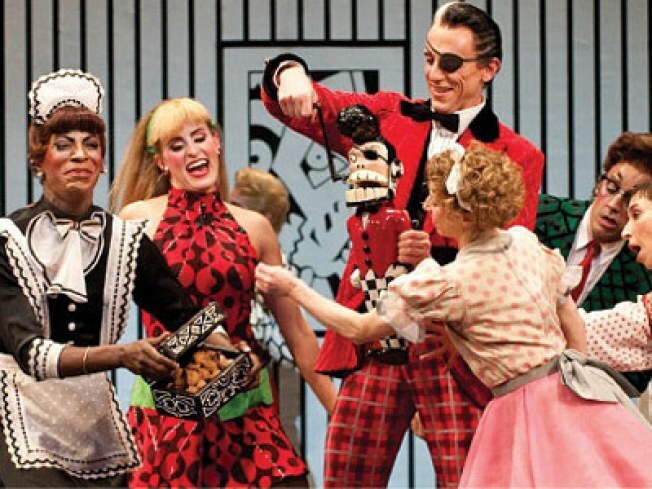 ’CRACK HOUSE: We know it’s a holiday thing, but sometimes, we think maybe—just maybe—there are too many versions of the Nutcracker afoot: Nutcracker in the Lower, the Harlem Nutcracker, Tchaikovsky’s original ballet (or as we call it, “Nutcracker Classic”). But we’ll make an exception for The Hard Nut, the Mark Morris Dance Group’s raucous, irreverent 1970s-set take on the chestnut. Part of the 2010 Next Wave Festival at BAM, the reprise kicks off tonight, with performances through December 19 (check the complete schedule for details). FUNGI: Everyone gets so obsessed with chocolate truffles at the holidays, it’s easy to forget the other kind: Roberto Deiaco of Armani/Ristorante is at the James Beard House tonight, cooking an extravagant feast of bites centered around that jewel in the mushroom crown: The white truffle. A couple of highlights from the menu: Piedmont goat cheese fondue and truffle-stuffed polenta shells, sole with young savoy cabbage in a sauce of white and black truffles… 7PM. SECONDS: What could be the culinary opposite of the James Beard House? Possibly the IKEA cafeteria. But hold your jokes: Tonight, the store presents Julbord, its version of the traditional Scandinavian Christmas meal, an all-you-can-eat smorgasbord of Swedish specialties like smoked and cured fish, St. Lucy buns (lussekatter) and plenty of lingonberries, for a paltry $9.99 (or under $3 for the under-12s). Live music will set the stage for the feast. Also: Bring any used soft toys to donate, as IKEA will be passing them along to the Children of the Red Hook Houses and the Best of Brooklyn Annual Toy Drive. 6-8:30PM. See our music listings on the Nonstop Sound blog.